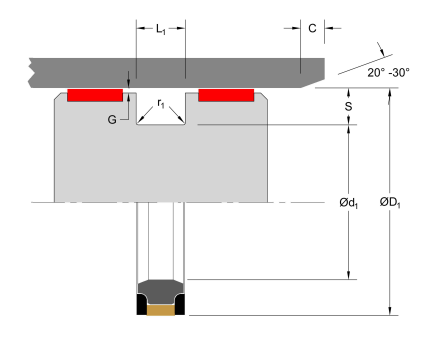 The Hallite Capped T seal is a compact, double-acting, high-performance piston seal design capable of handling the high pressure and pressure spikes associated with high-performance systems. 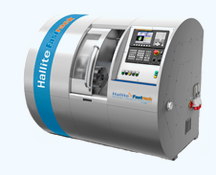 Hallite’s industry-leading design maximizes performance by employing thicker anti-extrusion rings that protect the seal face and energizer from damaging high-pressure shocks well beyond what standard industry designs are capable of. 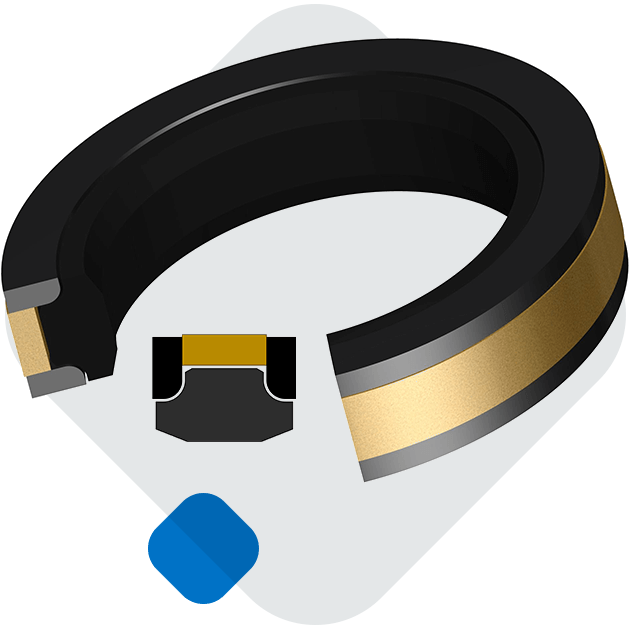 This design, along with our exclusive high-performance Armorlene® HLX material and high-grade elastomers are what make Hallite’s CT a high-performing seal. The CT consists of a filled PTFE cap, high-grade elastomeric energizer, and two precision anti-extrusion rings. Hallite’s CT is suitable for a wide range of PTFE materials, the most common being bronze, moly-glass, or carbon filled. MoS2 filled PA AE rings are the most commonly used for fluid power service, though glass filled, PA, virgin PEEK, and other high-performance materials are also available to suit your needs. The most commonly used energizer is the NBR Shore 80A. However, your CT seal can be configured using several different elastomer compounds including HNBR, low temp. NBR, and FKM. The part numbers listed below only show standard material options for both the face seal and energizer, where applicable. For a complete list of the material and energizer options along with part numbering structure, please see the complete PDF datasheet or click CT Data Tables.